Keys are used on a daily basis, but whoever puts much thought into them? They are the gate pass to many things in our lives such as vehicles, houses and even electronics such as a phone. In this case the password is the key of some sort, it allows you access to your device. The concept of a key is very broad and has developed over the years. The question now is, where did the key or the concept of the key come from? The first key was seen 6000 years ago the same time locks were discovered too. This was in ancient Babylon, Egypt. It was made of wood and the key looked like a brush. It was heavy and not very durable therefore not the best material it could have been made from. It was easily broken too. 700 BC, the world experienced the next major development of the key as first noticed in ancient Rome. The wooden material was replaced with iron and bronze. The locks were therefore stronger and smaller and the keys lighter as well. The shape of the key also changed to that which resembled a skeleton. It also had a cylindrical shaft with the end being rectangular. This shape and design of the lock and key remained so for over 17 centauries even after the fall of the Roman Empire and has spread all over the world. In the 1800s, a modernized flat key was introduced by one Mr. Linus Yale. The design changed too as well as how the key lifted the lock pins. Key cutting was also invented during this time which made it possible to have many keys for one lock. Presently, flat keys are in use. However, it has been made sleeker and more sophisticated which means that security has been enhanced as well. Developments have also been experienced to a point that there are keys that use magnetic signatures mostly in hotels and office buildings. Another form of keys used today are thumbprints and the use of passwords. This is for the modern vehicles where they are activated via a radio signal when they are placed in the ignition. They prevent theft as the wrong code will not start the vehicle neither can they be duplicated. These are common in home locks. They have two or four sets of teeth. The one with four teeth is more durable and are more difficult to duplicate than the one with two sets of teeth. This one is used to open Paracentric locks. It has small teeth and resembles a blade. It is common in prisons. 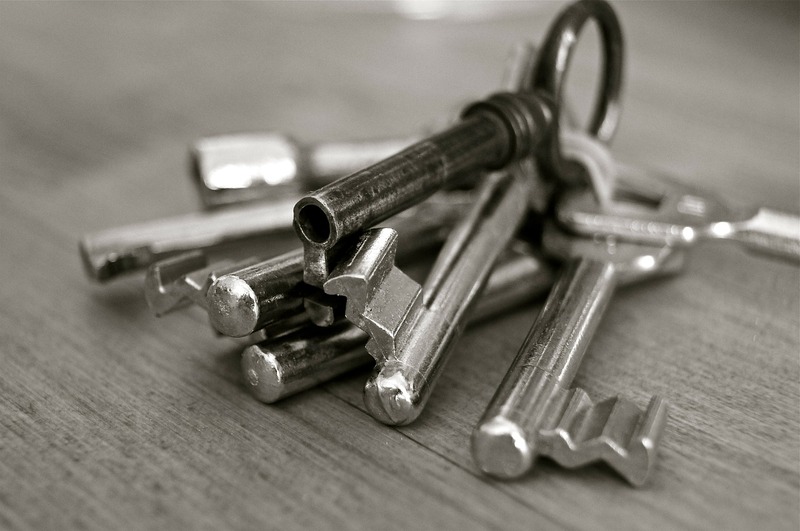 Other types of keys are: dimple key, skeleton key, tubular key and keycard.